David Wojnarowicz was an abused child, a teen runaway who barely finished high school, but he emerged as one of the most important voices of his generation. He found his tribe in New York's East Village, a neighborhood noted in the 1970s and '80s for drugs, blight, and a burgeoning art scene. His creativity spilled out in paintings, photographs, films, texts, installations, and in his life and its recounting-creating a sort of mythos around himself. His circle of East Village artists moved into the national spotlight just as the AIDS plague began its devastating advance, and as right-wing culture warriors reared their heads. 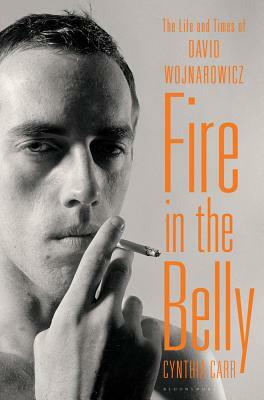 As Wojnarowicz's reputation as an artist grew, so did his reputation as an agitator-because he dealt so openly with his homosexuality, so angrily with his circumstances as a Person With AIDS, and so fiercely with his would-be censors. Fire in the Belly is the untold story of a polarizing figure at a pivotal moment in American culture-and one of the most highly acclaimed biographies of the year.